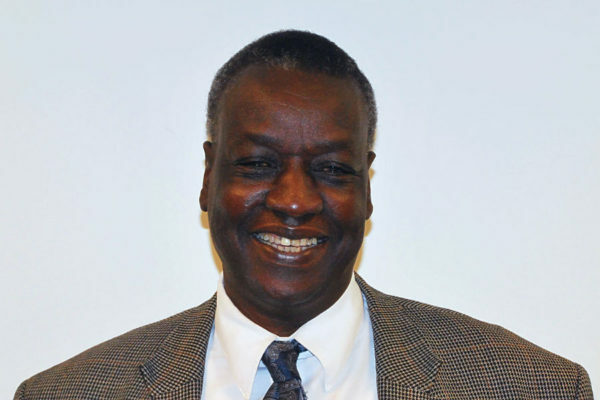 As professor of practice for security studies, Luka Kuol supervises curriculum and program planning. He specializes in national security strategy development, the security-development nexus, and security sector reforms. He is currently conducting research on the links between migration, food security, conflicts and youth in Africa; the link between military expenditure, military professionalism, human security, development and conflict in Africa; and the devolution of the security-development nexus to the national level in Africa. Dr. Kuol is a global fellow at Peace Research Institute Oslo and a fellow at Rift Valley Institute. He is also South Sudan Alumni Ambassador of the Institute of Development Studies in the United Kingdom. Prior to joining the Africa Center, Dr. Kuol served as director of the Centre for Peace and Development Studies and associate professor of economics at the College of Social and Economic Studies at the University of Juba in South Sudan. He was also on the teaching staff of the Faculty of Economics and Rural Development at the University of Gezira in Sudan. He was a fellow at the Carr Center for Human Rights Policy at Harvard Kennedy School and a visiting fellow at the Institute of Development Studies in the United Kingdom. He served as Minister of Presidential Affairs for the Government of Southern Sudan and as National Minister of Cabinet Affairs for the Republic of Sudan. He has also worked as a senior economist for the World Bank in Southern Sudan. He received his BSc with honors from the Faculty of Economics and Social Studies at the University of Khartoum, an M.A. in Economics, an M.B.A. from the Catholic University of Leuven, Belgium, and a Ph.D. from the Institute of Development Studies at the University of Sussex.